When the Office of Management and Budget rolled out its so-called “super circular” a couple of years ago, it consolidated and clarified diverse policies on subrecipient management and monitoring. Since many federal grant programs are mandated to be carried out by networks, that was a big step in the right direction. The guidance on how to conduct risk assessment of subrecipients, how to prepare subaward agreements, and how to monitor subrecipient compliance and performance has largely been welcomed by both pass-through entities and subrecipients. However, OMB left a gap in its rules — it did not specifically address how pass-through entities should select subrecipients. OMB requires all nonfederal entities “to establish and maintain effective internal control over federal programs.” So, with that kind of general instruction in mind, how should a pass-through entity fashion defensible procedures for selecting organizations to receive subawards of federal financial assistance? This webinar will provide practical advice for how to do just that. 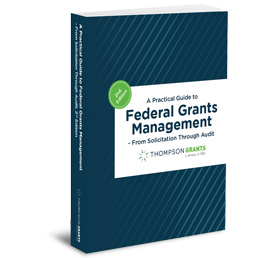 Join Bob Lloyd, principal of Federal Fund Management Advisor™, for this timely, best practices examination.